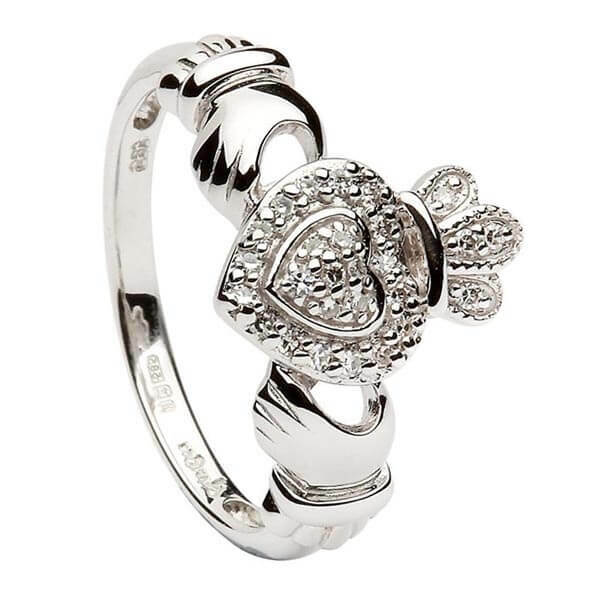 The meaningful design of the Claddagh symbol, with two hands supporting a heart topped with a crown on this women's White Gold Diamond Encrusted Claddagh Ring is further enhanced with a cluster of brilliant diamonds. 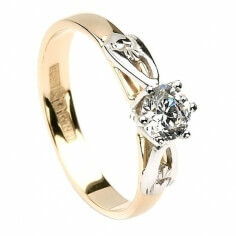 They encrust the entire Claddagh symbol to assure maximum sparkle. 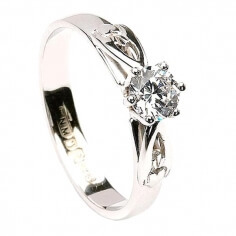 Handcrafted in Ireland by experienced artisans and hallmarked by the Dublin Assay Office - your mark of quality.